With summer approaching, a whole slew of new and trendy foods are hitting the shelves many of them focused on plant based or fungi based food alternatives to meats and dairy. More and more people are becoming concerned about their health, where plant based foods are simply healthier than many meat or animal product based foods. They are swapping out their hamburgers for veggie burgers, and cheese for tofu. On top of this healthier trend, more and more people are switching over to plant based foods because of the environmental impact as well. Believe it or not, pollution from livestock contributes heavily to climate change through the emission of methane gas. Cattle are especially problematic, so much so that one of the most polluted areas in the country as far as air pollution is concerned is a major cattle farm. Cows consume a tremendous amount of energy, meaning that a lot more food and water goes in to making a pound of beef for example as opposed to virtually any other food source. One of the major concerns today with keeping animals is the sheer amount of resources it takes to do so, and would be both more energy and cost efficient for people to switch to a plant based diet. Not only do many of these foods require less resources to grow, they are more nutrient rich by weight then their animal counter parts. So What Plant Based Foods Should You Eat? Just the idea of eating seaweed may seem gross to many people, but it is just another leafy plant similar to lettuce, kale or spinach. Seaweed is something that has been used in various Asian cuisines for centuries due to it being very nutrient rich. Seaweed is packed with Vitamin K, Vitamin A, Vitamins B, Vitamin E, calcium, iron, magnesium manganese and copper. 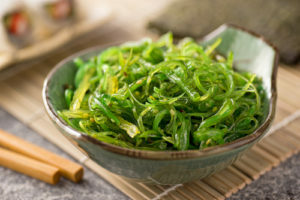 It is by far and away one of the most nutrient rich foods we can possibly eat, and still isn’t too popular to where seaweed is expensive either. Seaweed chips are a new and popular version of this food, and are great for a snack on the go. Everyone loves burgers, and you would never guess how tasty a vegetable burger could be. American’s eat over 50 billion burgers a meal, so make sure yours is a healthy one. These burgers are usually made from either a saitan base which is derived from wheat, or made with some type of soy. The base patty is then mixed with a variety of vegetables including carrots, peas, peppers and corn. 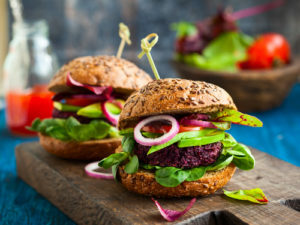 These bases give the burger a good amount of protein and are packed with healthy vegetables which provide us with the necessary vitamins and minerals we need to function. When comparing plant based foods to meats and dairy, plant based foods are better in pretty much every category except when it comes to protein and calories. 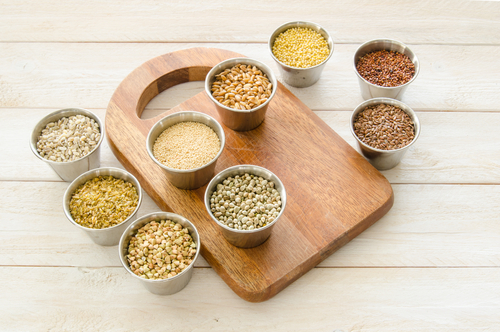 Unlike many other plant based protein sources, ancient grains like quinoa for example have complete protein profiles. This means that you will get all the necessary essential amino acids from your ancient grains like you would if you were to eat a meat based meal. 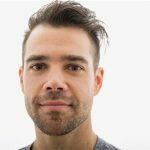 Ancient grains are unique when it comes to full amino acid profiles in plants, more often than not they do not contain everything that we need, making us seek out additional protein sources. This is one of the major reasons why many people, especially athletes choose animal based proteins over plant based proteins. Ancient grains are not only a good source of protein, but are also great sources of fiber, vitamins and minerals as well. The nutritional value of each varies from plant to plant, but generally speaking many of them are a good source of B-vitamins and iron as well.